cnc, custom sheet metal, fabricated precision sheet metal, fabrication sheetmetal, precision sheet metal, precision sheetmetal, prototek, prototype sheet metal, quick turn sheet metal, sheet metal, sheet metal fabrication, sheet metal prototypes, sheet metal prototyping, short run sheet metal. cnc, custom sheet metal, fabricated precision sheet metal, fabrication sheetmetal, precision sheet metal, precision sheet metal prototypes., precision sheetmetal, prototek, prototype sheet metal, quick turn sheet metal, Registrations And Certifications, sheet metal, sheet metal fabrication, sheet metal prototypes, sheet metal prototyping, short run sheet metal. 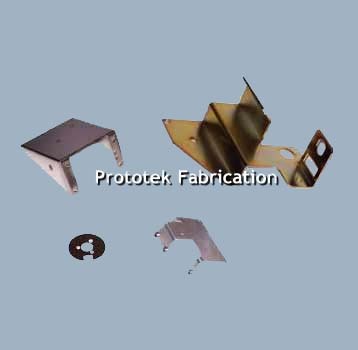 Prototek Sheet Metal Fabrication and Prototek Machining is beginning an outsourcing campaign to developing countries to increase production and lower cost and lead times while retaining only the highest of quality. Prototek is one of the top companies in the country to offer rapid prototyping of precision sheet metal and CNC machining. This will allow Prototek to become one of the largest quality conscious suppliers of precision sheet metal and CNC machining in the country to emphasize on quick turn around time for their ITAR and non-ITAR customers alike. “When looking for a good fit with Prototek, hundreds of foreign companies are put through a rigorous process to ensure that quality, pricing, and delivery are to our highest of standards. We have found that by having the parts finished here at our facility by assembling and installing hardware only made in America helps control the quality of our customers’ parts.” Stated Prototek’s production manager, Brian Francoeur. Some of the developing countries that Prototek has been targeting to find the right quality conscious vendors of quick turn sheet metal and rapid CNC machining are China, Mexico, Malaysia, Peru, Ukraine, and India, as well as a few others. The handful of vendors that complete and pass their testing process must have quality control systems in place starting with the current ISO programs and meet their country’s top quality programs. 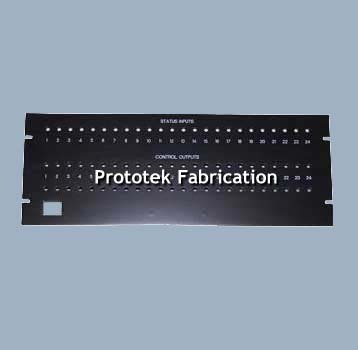 Prototek Manufacturing began in 1987 as a family owned and operated business as a supplier of quick turn precision sheet metal and machined products for the prototype markets. Today we are still a family owned and operated business to ensure customers only receive the best sheet metal and machined prototypes and short run production parts. Our quality and turn times continue to be among the best in the industry. Serving industries such as robotics, semi-conductor, telecommunications, military, pharmaceutical, medical, computer technologies and aeronautics, Prototek Manufacturing includes machining, plating, painting, powder coating, silk screening and assembly capabilities all under the same roof to help save our customers time and money on their finished parts requirements. Prototek Manufacturing decreases lead times by another 20%! Prototek continues to decrease lead times, making them the fastest rapid manufacturing and prototype sheet metal and machine shop plant in the country, and possibly the US. Prototek has incorporated painting, plating, powder coating, and silk screening to their list of capabilities, as well as maintaining a large stock of material, PEM hardware, and assembly hardware. These new additions allow Prototek to save the customer days of production time, lowering average lead times by 20%! Prototek is now able to carry many colors and textures of paint and powder coat, eliminating the need to send sheet metal and machined metal parts out to multiple vendors. They can also plate prototype and production parts with RoHS chromate, anodize, and iridite, and silkscreen in any color and any size. Prototek’s stock of sheet metal is key in producing quality parts in a limited time frame. With six large rack systems, they almost always have the required material in stock. The same can also be said about their nine large hardware racking systems, carrying about one thousand types of hardware at any given time! Production meetings are held early every day, covering all jobs coming in, jobs to be programmed, jobs being worked on on, and jobs that have to ship. This allows for all managers to be on the same page, and in a team fashion, strategically place employees on jobs and departments as they see fit to maintain their rapid prototype and production lead times. Prototek Sheet Metal Fabrication, in light of the current economic situation, is still experiencing a boom of business. The company has recently added two new machines to their initial processing line of sheet metal prototypes and short run productions. These two new machines are the Steelmaster SMD1 and the Finish Pro 1460. Steelmaster is known for its ingenuity and operator ease of use. This new deburring machine will cut times required to remove laser slag and tooling burrs from processed parts dramatically. Not only is it more efficient, but it will save on energy, it’s safer, and it’s better suited for a company where cross-training is a staple, with its intuitive user interface as a touchscreen panel. This deburring processor is extremely aggressive and very low maintenance. This translates to less time spent on individual parts, and more time is allowed for the constant flow of workload. Parts are fed into the front of the machine, where any slag is ground off the surface of the sheet metal or machined part. Then, it has rotating strips of sandpaper smooth off any sharp edges, and finally, a rotating drum of sanding sheet adds a smooth grain to the surface. Parts go in rough, and in a matter of seconds, come out with the quality you would normally expect from three or more operations. This will require fewer employees to work on a job, and alleviate potential bottlenecks while improving quality. The second improvement is the addition of the Finish Pro 1460. This small deburring and graining station will be used strictly for smaller parts that deserve the attention and perfection normally achieved with the more technologically advanced post-processing machines Prototek utilizes. Again, the digital readout will allow employees with minimal training to crank out perfect parts every time. The addition of these two machines will allow Prototek to take on a greater workload and increase quality while still reducing lead times. 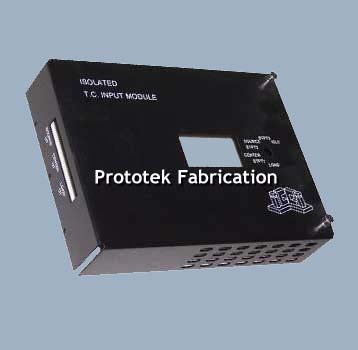 This is Prototek’s niche. Since 1987, they have been the leaders in the quick turn market of precision sheet metal prototypes, and there is no sign they are willing to lose that position. With a solid commitment to on-time delivery of quality products, Prototek Fabrication is serving the prototype and rapid prototyping of precision machining-turn markets. We fabricate from paper prints or electronic files, and work with a full range of raw materials: steel, stainless steel and aluminum sheet, tube, angle and channel; Lexan and other plastics; copper sheet and bar; and spring steel. We have access to all the major hardware and accessory (handles, gaskets), and can provide paint and powder coat finishes as well as a full complement of plating: clear and colored anodizing; chromate and zinc and chromate; hardcoat; electroplate; electroless nickel; copper, tin, silver, gold, and nickel. We are staffed by experienced employees dedicated to manufacturing quality goods. cnc, custom sheet metal, fabricated precision sheet metal, precision sheet metal, precision sheet metal prototypes., precision sheetmetal, prototek, prototype sheet metal, quick turn sheet metal, sheet metal, sheet metal fabrication, sheet metal prototypes, sheet metal prototyping, short run sheet metal. We have access to all the major hardware and accessory lines (handles, gaskets) , and can provide paint and powder coat finishes as well as a full complement of plating: clear and colored anodizing; chromate and zinc and chromate; hardcoat; electroplate; electroless nickel; copper, tin, silver, gold, and nickel. We are staffed by experienced employees dedicated to manufacturing quality products. 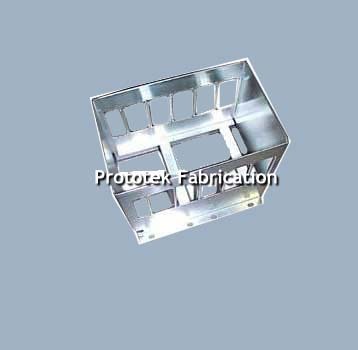 Prototek Sheetmetal Fabrication utilizes MetalSoft FabriWIN, Solid Works, Pro-E and AutoCad to import your computer designed files. We can open your 3D solid models, unfold them, then use the geometry to send to our manufacturing cells. This process drastically helps in the rapid prototyping of precision machining prototyping manufacturing of your sheetmetal components. We are usually able to quote your projects within one day. You can e-mail, fax or upload your files directly to our site. We believe this process makes it extremely easy for our customers to move on to their next task at hand. Our experienced staff are available from 7am to 4pm EST to answer your questions. They are even available in our live chat room during these hours. We look forward to serving your needs.